Only about 2 out of every hundred people know precisely what they desire from life and have a workable plan for attaining their goals. These are the people who are leaders. They have found success that has made life pay off on their terms. The strangest thing about these people is that they have the same amount of opportunities as those who have never achieved success. 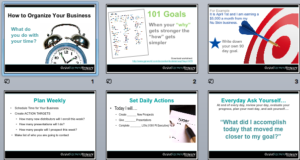 This powerpoint steps you through basic goal setting for your business. The tools here will help create a personalized plan for you. 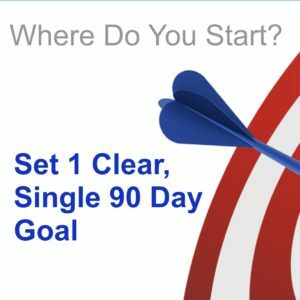 Be sure to work with your upline to go over your plan.